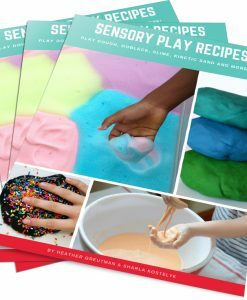 177-page handbook for parents and educators to feel confident in understanding sensory processing. Available in digital download/ebook format and paperback. Keep scrolling for details. NOTE TO EU Residents: The digital download format is not available to EU residents due to VAT taxes. Please purchase the paperback format from Amazon or the Digital Download/EU Residents copy from Teachers Pay Teachers. 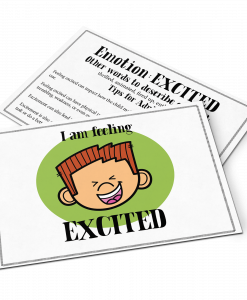 Feel Confident in Explaining Sensory Processing! 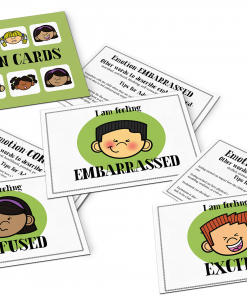 Do you wish that you had better tools to help prevent your child’s or student’s sensory meltdowns? Do you want to understand your child or student’s behavior? 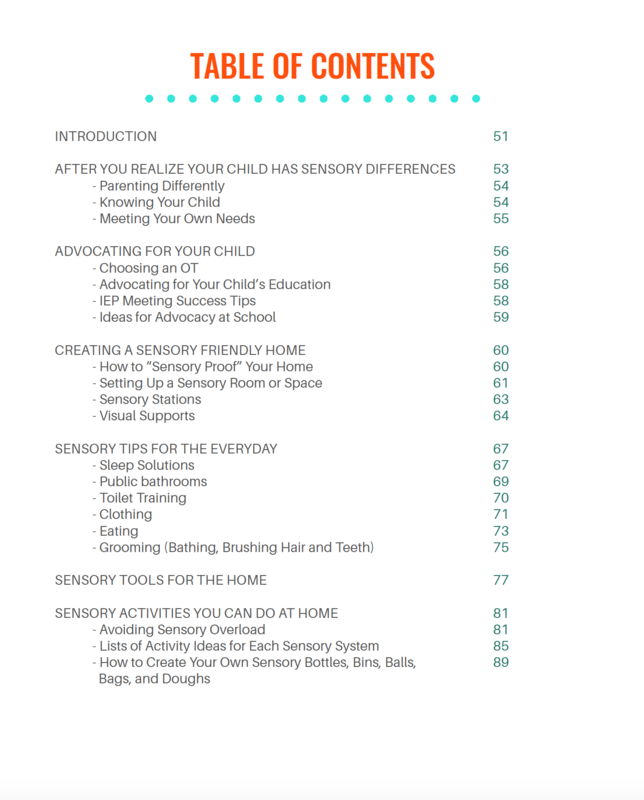 Are you a therapist looking for an all-in-one guide to sensory processing to share with families, clients, or co-workers? 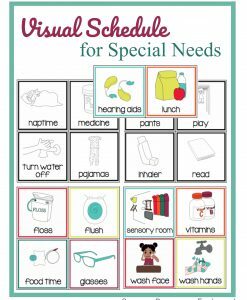 Plus get amazing informational printables that make it easy to share about sensory processing with families, clients, or co-workers. 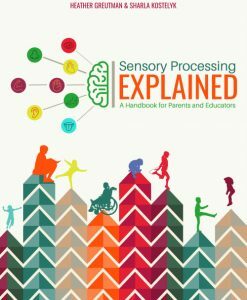 Sensory Processing explained is such a fantastic resource for parents, caregivers, teachers, and therapists. I love how this book explains each of the different sensory systems and how dysfunction in processing can impact a child’s behavior. This book is really is an ultimate guide because it’s so comprehensive! I will definitely be recommending this resource to the families I work with. Jaime Spencer, MS, OTR/L. Miss Jaime, O.T. 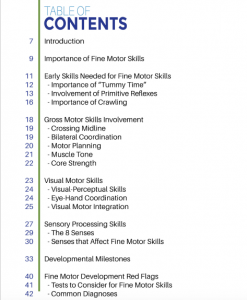 Finding detailed sensory processing information can lead you to multiple books, websites, and articles. In Sensory Processing Explained, our goal was to combine all of these resources into one, easy-to-navigate handbook. 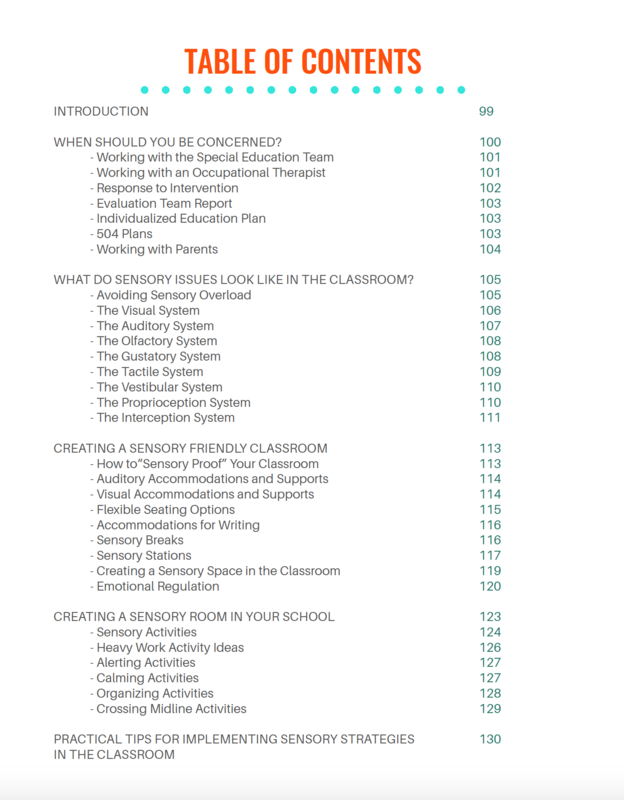 You’ll gain the tools you need to help your child or student navigate their senses. You will also find strategies and activities that will benefit all children. NOTE TO EU Residents: The digital download format is not available to EU residents due to VAT taxes. 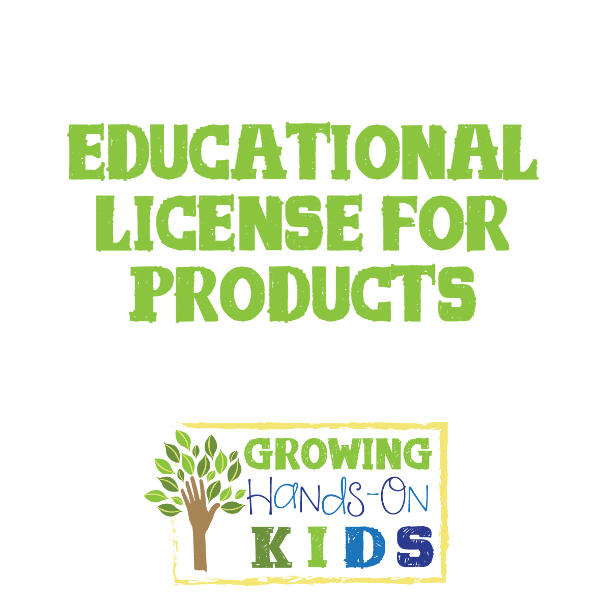 Please purchase the paperback format from Amazon and then forward your receipt to customerservice@growinghandosnkids.com to receive your free bonuses! 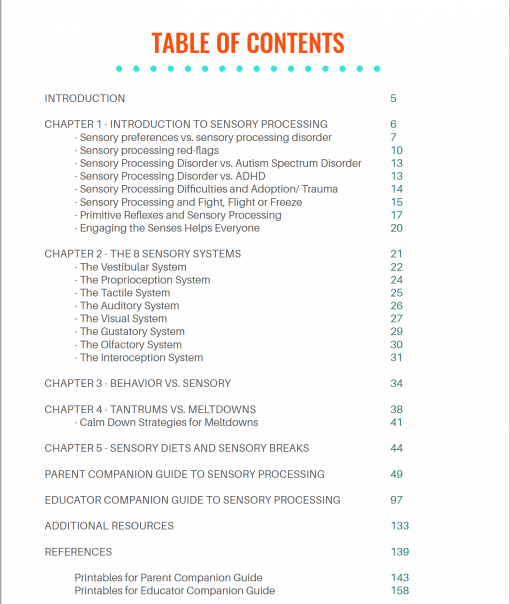 What is Sensory Processing Explained? 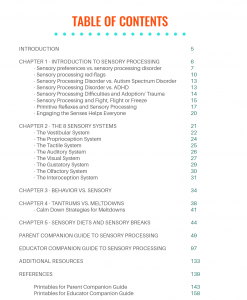 Sensory Processing Explained was written by an Occupational Therapy Assistant and mom of seven children. They use their unique experiences as a parent of children with sensory processing disorder and working in the classroom setting with children of various sensory processing challenges. 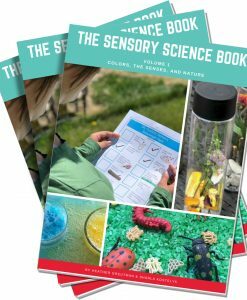 This book is three books in one so that you will get exactly what sensory processing information is right for your situation. 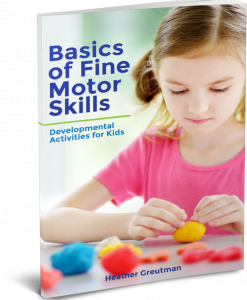 It was written with easy to understand terms and language so that you can feel confident in explaining your child or student’s sensory processing struggles with parents, family, friends, or co-workers. The first handbook digs into what sensory processing is, looking at the difference between meltdowns and tantrums, calming strategies and techniques for a sensory meltdown, and giving an overview of the eight sensory systems and how they affect a child’s behavior. 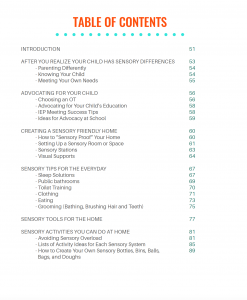 In the Parent Companion Guide, learn how you can advocate for your child, create a sensory-friendly home, and find sensory tips for everyday life skills like getting dressed, sleep, and grooming. Gain confidence in providing sensory tools and activities for your child and helping them understand their own sensory preferences. 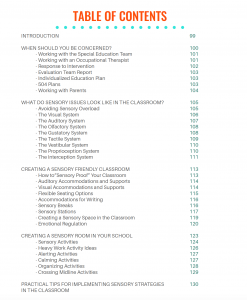 In the Educator Companion Guide, learn when you should be concerned about a student’s sensory challenges and what those challenges could look like in the classroom setting, how to create a sensory friendly classroom for every student, how to set up a special sensory space in the classroom, and activities and strategies that require minimal tools, space, or time. In Sensory Processing Explained, discover how sensory processing affects all children, not just those who struggle with sensory processing challenges or sensory processing disorder and how to support these sensory processing development skills at home and in the classroom. 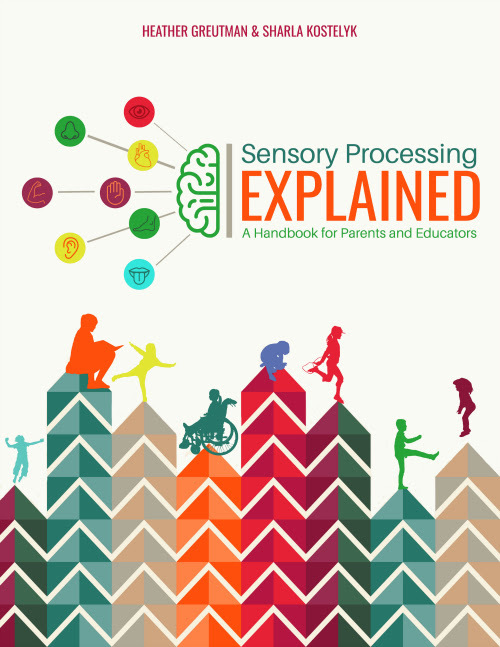 Who is Sensory Processing Explained For? 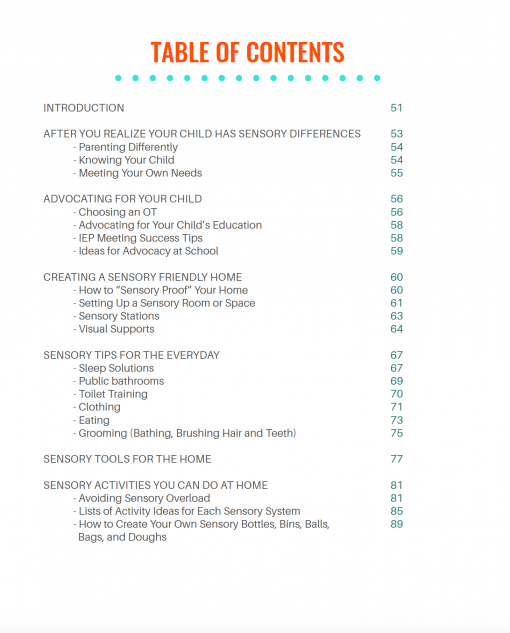 While we wrote two sections for parents and educators specifically, Sensory Processing Explained is for anyone who has a child with sensory challenges in their life or wants to share about sensory processing with others. Whether you are a grandparent, caregiver, school administrator, or therapist, this book will give you the detailed sensory processing information you need and makes it easy to recommend this resource to others in your school, those you work with, or other family members. A special note for therapists: The detailed printables for home or the classroom that are included in this book make it an excellent resource to have in your therapy toolbox. 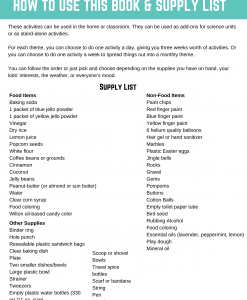 We are always looking for handouts or information we can share with parents or those we work with to explain what we do and to give ideas or suggestions for home. 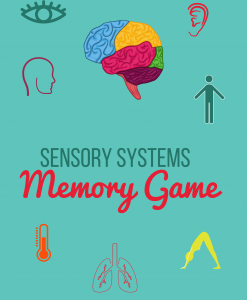 The printables in this book will give you easy to reference information on all eight sensory systems, including activity ideas for the home or classroom.